Designed to withstand winds of 110 mph or higher, vinyl siding is built to protect homes from the elements. The weathering effects of heat, cold, and moisture are no match for properly installed certified vinyl siding, which is designed to retain its great looks for life. Guaranteed. Vinyl siding is continually innovating to ensure long-term durability. Multiple attachment points create superior weather protection. Advanced UV-resistant coatings resist fading, helping even dark colors remain vibrant for years. 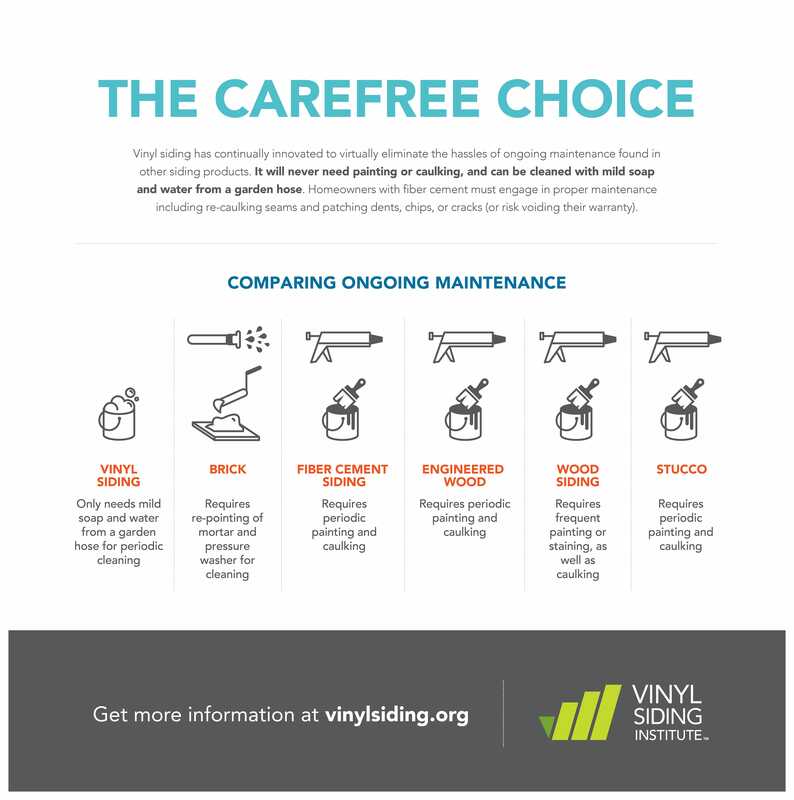 Vinyl siding manufacturers generally offer a lifetime warranty to the original homeowner and the product typically carries a prorated warranty of at least 50 years to subsequent owners. All this protection is paired with the benefits of never needing to paint, stain, caulk, or re-paint! 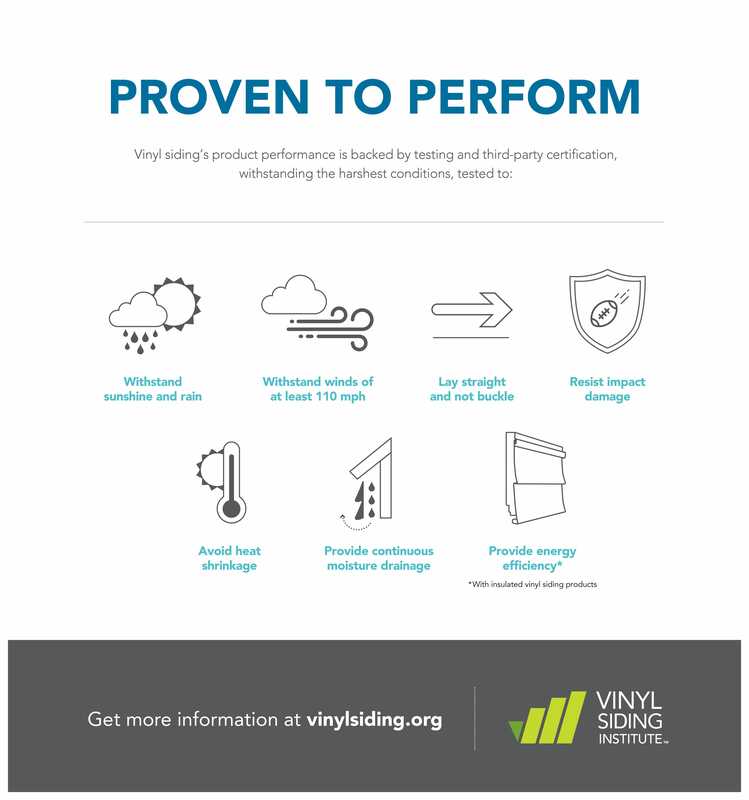 Vinyl siding built with pre-installed insulation is tested and verified to deliver higher R-Values to help decrease energy loss through walls. Insulated vinyl siding is highly durable, ensures unmatched protection, and provides thermal performance that lasts for years and years. 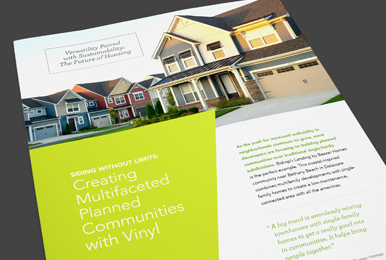 The chemical makeup of vinyl siding makes it inherently flame resistant — which can help increase building safety due to slower ignition and flame spread times.